Never think owing a home is out of sight, if you really wish to purchase a home then take the necessary steps to make that move towards homeownership. It may take work to get you there but find professionals that will assist and guide you on the proper steps in the right direction. If you have never owned a home, I can tell you it is empowering and having pride of ownership, theres nothing like it. If you have owned a home before and may have lost the property through a short sale, foreclosure or bankruptcy, you know what I am speaking of and your second time I am sure you are wisher for the first time home owner and will not make the same choices as you did before. 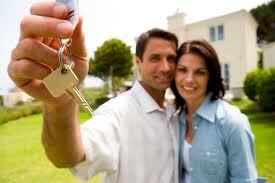 There are many first time home buyer down payment assistance programs available to this segment of home buyers.  Being a 1st time buyer does not require a lot of money, there are 2 true 100% no money down loan programs to purchase a home, the 1st one is the VA and the 2nd one is the USDA-RD home loan. Also, buyers that have not owned a home in the past 3 years are considered first time home owners and with that title you have available down payment assistance programs, as long as you meet the minimum requires to obtain the assistance. The one advise I can give at this point is to speak with a licensed mortgage professional who closes over 50 units a year and has year of experience in the lending industry. Do not list to outsiders who have nothing to do with the mortgage industry, I do not tell a chef how to cook their food or a doctor how to read a medical chart. Those professionals that are in our business are very knowledgeably and dedicated people who are here to assist your needs, you need to find that person who has your same passion of owning a home as they do about guiding you towards that goal. Things or issues that may hamper your ability to own a home may be lack of income, credit or the funds to close escrow. I welcome the opportunity to review these 3 areas of your loan package to see what steps you will need to take to own a home. If you can not purchase now because you lack income, credit of funds, lets have a game plan to see how we can over come this obstacles to put you in the position one day to own a home of your own. As a first time home buyer, try not hit the home run on your 1st purchase. An average home buyer today is living in their home for 7 years, that is not a long time. With your purchase, find something that will meet your top 3 to 5 items on your list and the number item should be budget. Your budget should be number one, that last thing you want to relay on is future income that may or may not come in to afford something outside your means. Once you receive that raise or your spouse begins to work, then sell and move up. As discussed above the 3 categories you will need have when purchasing a home through traditional channels are, income, credit and funds. Getting started in this market is ket, the longer you wait to jump in the housing market, the long it will take you to purchase a home. What you could have know or found out what you may need to work on will put you that much closer on owning a home. Once the market turns from a seller market to a buyer's market and it will, you will be in the prime position to purchase a home. That is way you need to work with the right team of professionals who can guide you along the home buying process.